5 ingredients. Mix and refrigerate. My original version of these power balls packs fiber and healthy fat power, but these quickies are protein+complex carb rich. I love bringing these to parties because they look and taste yummy, but they are secretly healthful! I use Ghirardelli dark chocolate chips and I think it makes a big difference, but I’m a chocolate lover so I may just be picky. This recipe is based on a recipe from my grandmother! Original, original recipe was by Barbara McConell. 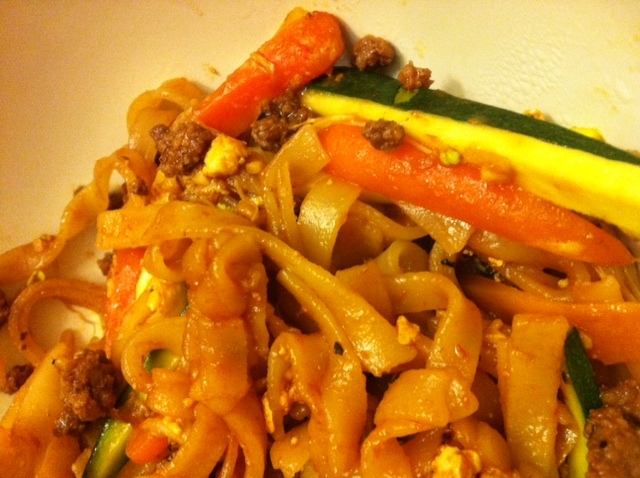 Here is the recipe from Tosca Reno’s theEatCleanDiet.com site. LOVED the eggs in this dish!! Soaked up the flavor of everything! Mine came out darker than her picture – I don’t know how she could use molasses and soy sauce and have her noodles appear so white! Ah, professional food photography how you trick my eyes! My addition: because my husband is a beastly bodybuilder and needs more protein (and a Texan, so I picked red meat) – I added 1lbs blend of extra lean ground sirloin + extra lean ground turkey and mixed another 1/2 batch of sauce with it for flavoring. Tosca recommends chicken or tofu, but we eat chicken every day so I wanted to switch it up. Will definitely make this again! 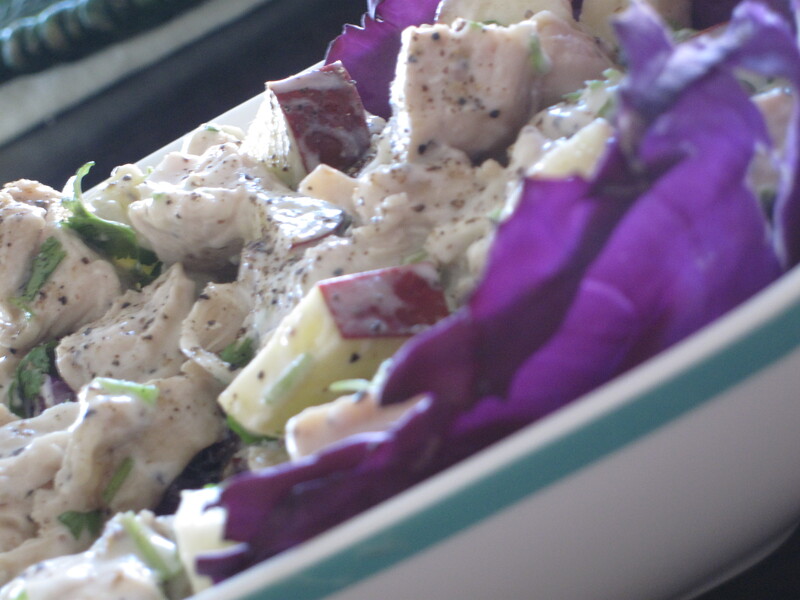 This is an eat-clean recipe that I tweaked. It was DELICIOUS. Served this with Eating Right Multi-grain with Sea Salt Baked Pita chips. Heat skillet to medium heat. Drizzle 1 tsp peanut oil. Add chicken. Season well with garlic salt and black pepper. While sauteing, drizzle lemon juice. Once cooked through, remove chicken from heat and add celery, apples, pecan, cranberries and cilantro. Add yogurt and toss. Grind black pepper for garnish. Chill. Add a kick of cayenne if you dare! Brine is a salt and seasoning solution used to saturate meat or other foodstuffs with flavor and moisture. Brining is often done with turkey and other poultry since it has the tendency to be dry. Salmon benefits from the process too, since there is a fine line between perfectly grilled salmon and the shoe leather that often comes off the grill. Remove brine from heat and allow to cool. The brine then needs to be refrigerated. Place about 2 pounds of salmon in the brine. The fish should be completely covered with the brine solution. Let the fish soak for about 2 hours. Remove the fish from the brine with a slotted spoon and rinse. Let the fish sit on a plate that has been covered in a few layers of paper towel. 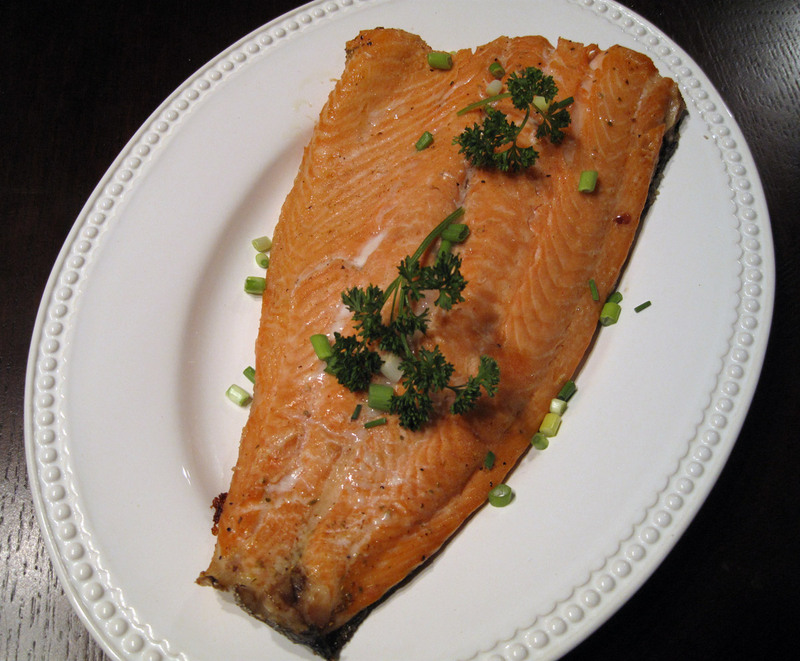 Brush salmon with a coating of extra virgin olive oil -this will prevent the fish from sticking to the grill/pan. place them in a sink of cold water. Cut the tough stem off the top after 5 minutes and squeeze thawed banana into a measuring cup. Easy! gently heat frozen bananas in the microwave until skin just softens. Then peel and use the flesh. I was excited to try this clean recipe, but I made two loaves because my husband does not care for nuts and raisins in his banana bread, so the 2nd loaf was for his sake. 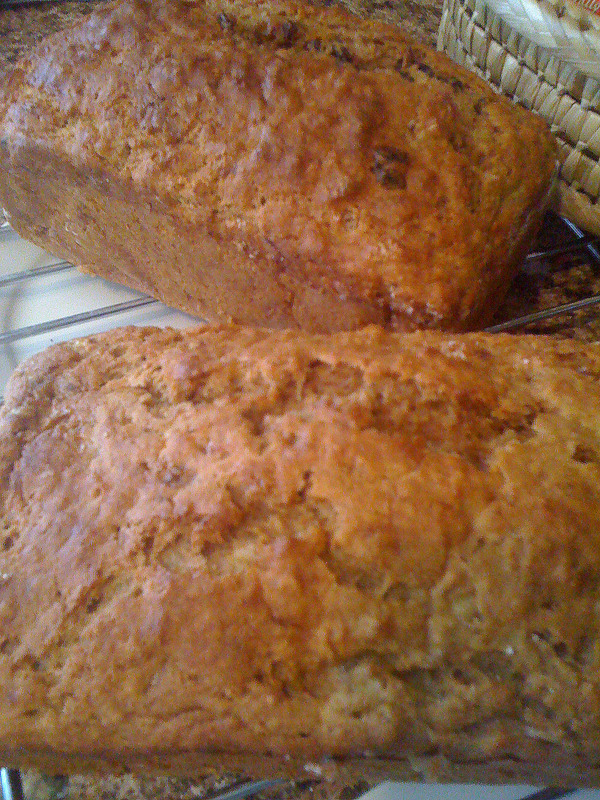 Loaf 2 I omitted the raisins, walnuts and zest and increased the cinnamon. My husband does not care for nuts and raisins in his banana bread, so the 2nd loaf was for his sake. Preheat the oven to 350 degrees. Lightly coat a 9×5 inch loaf pan with cooking spray and dust with flour. In large bowl #1 combine dry ingredients. In another medium bowl, beat egg whites until fluffy. Pour bananas, buttermilk (or soured milk), applesauce and vanilla into large bowl #2. Bake for approx 55 minutes.